A solution not just for times of system downtimes. A modern company is usually largely digitalized. This brings with it some degree of dependency on database systems, such as SAP. At times when the system goes through maintenance or updates lasting more than a few hours, the company faces the question of how to run operations that are otherwise dependent on SAP. 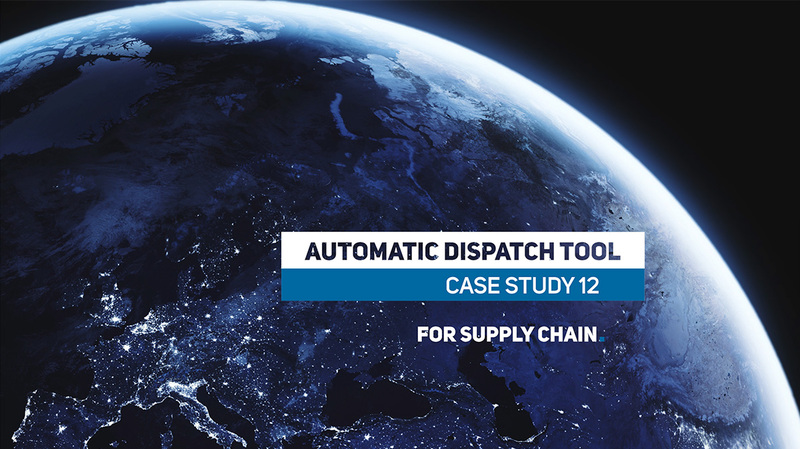 For the department of logistics of our client we developed an Automated Dispatching Tool. Thanks to it, dispatchers can dispatch shipments even when the logistics modules of SAP are down. Update of database systems of our clients usually takes a few hours. Occasionally, however, there is a longer shutdown, the longest one lasting more than a week. Of course, in such a time period the work cannot stop. Therefore, a backup solution needs to be available. The servicing section of the Automated Dispatching Tool includes a list of all customers and a list of all SKUs with all the necessary details. The planning section of the tool consists of a list of orders, shipment completion tool, automated load sheet and automated invoice. In addition, the tool also provides a database of all dispatched orders. Thus the supervisor has an overview of dispatchers´ work. In the list of orders, the dispatcher enters customers´orders to a standardized format. Subsequently, he/she plans shipments the way he is used to. 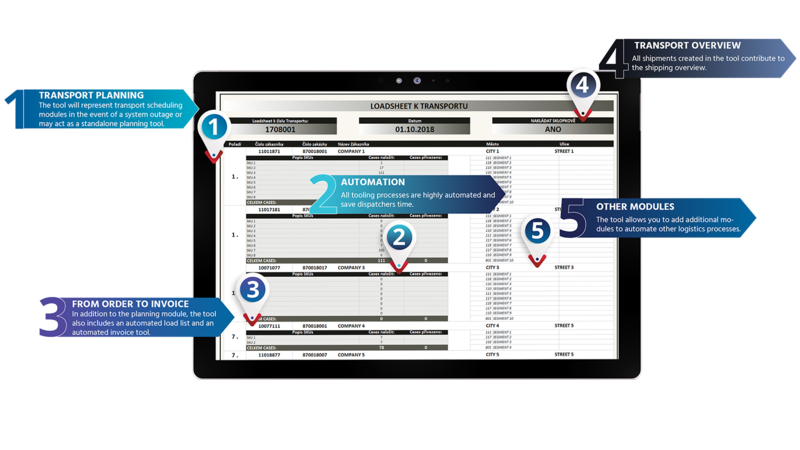 The tool automatically generates a load sheet for each shipment and and invoice for each order. We developed the Automated Dispatching Tool purely as a backup solution for times of system downtimes. But it is a solution that is ready for autonomous operation. It can be extended by other modules, such as assigning of routes according to optimal distance etc. In a smaller company that does not want to invest in large database systems or expensive planning software, it would be able to fully ensure automated dispatching. Over the years we have developed hundreds of solutions for our clients. In the area of practical tools for everyday operations in supply chain we can name for example the Day-to-Day KPI Summary in Logistics or Online Application for Truck Loadings Management.